Poems: Martin Burke, Stephen Capus, Steve Xerri, Adura Ojo, Philip Dunn, India Russell, Gill Learner. 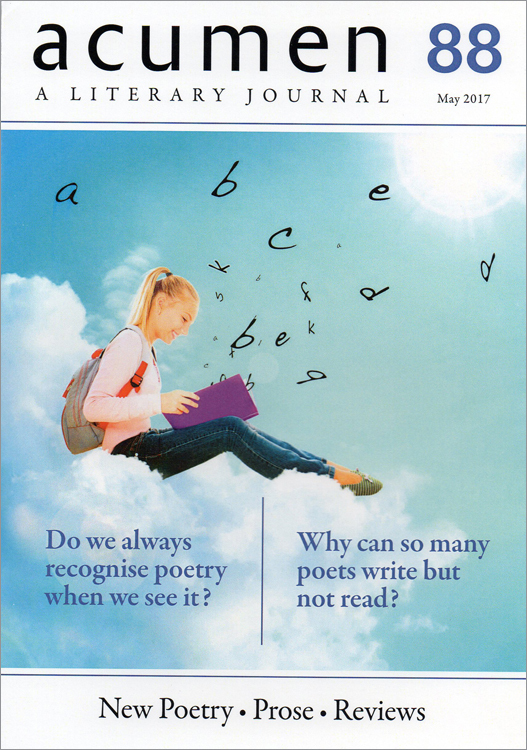 Poetry, You Know It When You See It – Andrew Knight. A New Romanticism for the 21st Century ‒S.A.Joyce. Émile Nelligan – James & Shona Deahl. Poetry from the Japanese ‒Masayo Gôshi. 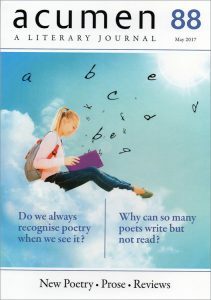 Poets: Once You Can Write, Please Learn to Read ‒ Roger Harvey. Deborah Moffatt, Emily Wills, Helen Ashley. Reviews: Nigel Jarrett, Edmund Prestwich, Fred Beake, Malcolm Bradley, Leah Fritz.